The High Risk group was an early all female quartet who started playing together in the early seventies, the lineup was Virginia Rubino on keys and vocals, Cyndy “Cynth” Mason on flute and sax, Bobi Jackson on bass and vocals and Sandi Ajida on percussion. Bobi and Sandi have moved on but Cynth and Virginia are still very much musically active playing today. Check out Cynth’s own musical pages on flutmedicine.com and Virigina’s virginiarubino.com. Following the release of the group’s Sisters love EP we had a brief chat with Cyndy Mason about the group, the music and the tymes. 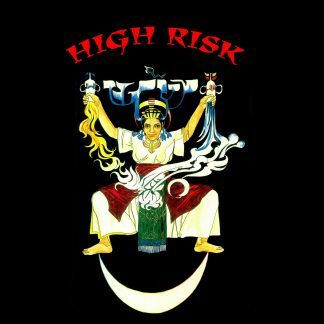 Tell me a bit about the band, HIGH RISK, how did the group come about? In the early 70’s there were many creative women expressing themselves in all the arts. 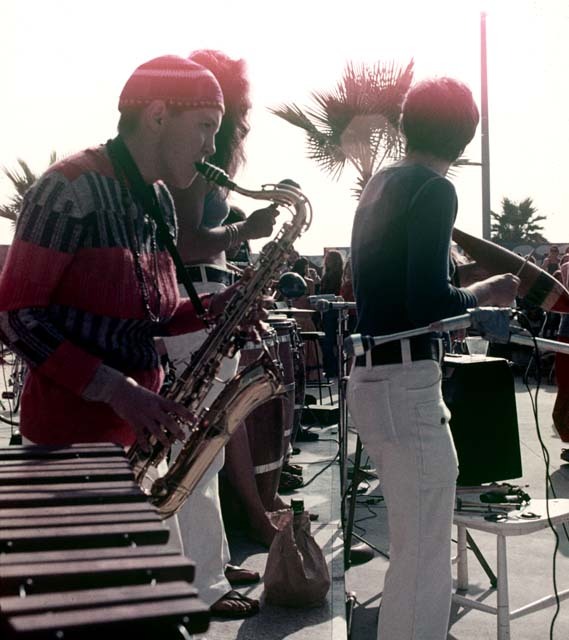 In Venice Beach, California there was a special concentration of musicians and artists and there were many women’s bands (Lizzy Tisch, Bertha, Red Zinger, Teda and Dog Squeeze, La Silvia, to name a few.) There was constant jamming at each other’s houses and every week-end the Very Very Venice Festival showcased various configurations of groups and musicians at the Pavilion on the beach. The members of High Risk played with these various configurations of musicians, men and women. 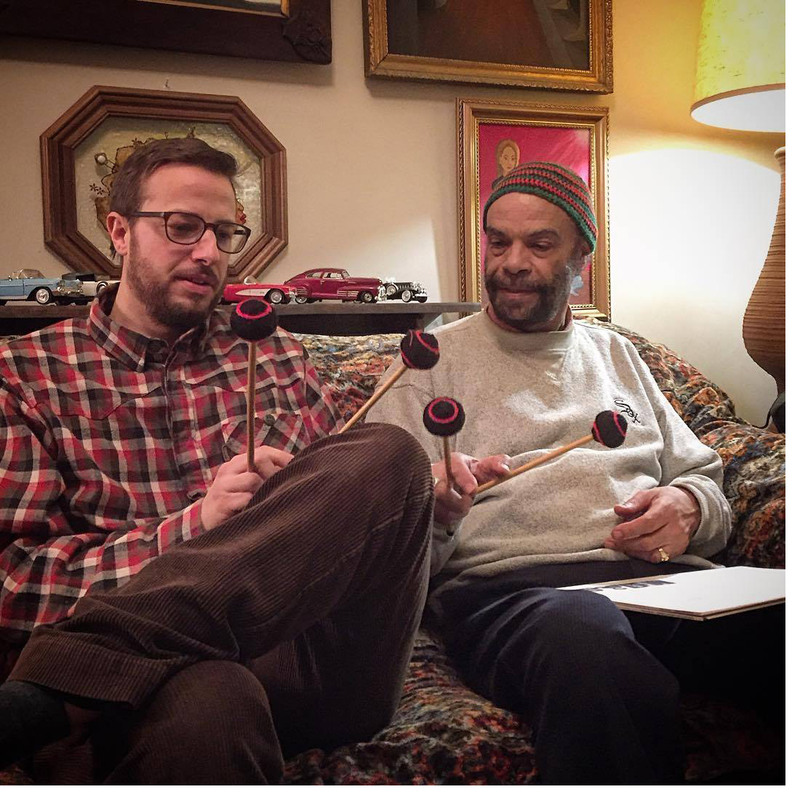 We got to know each other musically and recognized our particular expertise. Sandi Ajida had started her career with Olatunji and played on his first album Drums of Passion, she toured with the Ohio Players just before she came to Venice. Cynth had been under contract with Warner Bros. and had made an album with Paul Williams entitled “The Holy Mackerel”, Virginia, the youngest of the group, was a classically trained pianist and all agreed had one of the greatest voices we had ever heard. Bobi began her career in the Haight Ashbury and played with every name band that came out of that part of the world. Bobi, who was the brains and business mind of the band, approached Virginia and suggested the four of us start playing together. Cynth was working on a film with Donna Deitch and brought High Risk in to do the sound track. 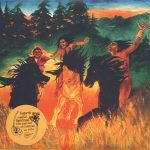 Judy Grahn’s poems “The Common Women” had recently been published and Cynth suggested to put the poems to music as they reflected the themes in the film “Woman to Woman”. Virginia wrote a concerto to the themes of the poems and Bobi wrote “Degradation” which also reflected themes in the film. What feels so special about listening to the High Risk single is that is has kind of two unique sides to it, there is the jazzy Common Woman and the more soulful funky Degradation. Was this the profile of band playing both R&B and Jazz or was this coincidental with the assembly of musicians in the group? As musicians we were all classically trained and then found our influences that made us unique. 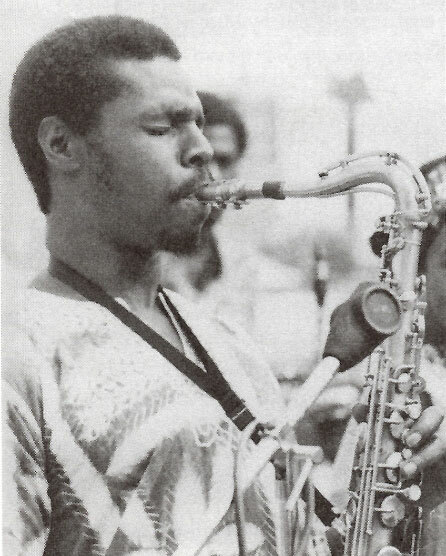 Ajida studied with the Royal Court Drummer from Ghana who was attending Temple University in Philadelphia as was Sandi. She graduated with a music degree. Bobi was born and raised in New York City and was influenced and played with many of the greats from that part of the world and brought the R & B feel to the band. Virginia began her studies at a young age in the classics and was gifted with an exceptional voice. Cynth, daughter of a jazz drummer and classically trained, studied with the first chair flute of the LA Philharmonic, but when she heard Alice Coltrane she stopped reading music and learned to play from the heart. I cannot stress enough the influence of living in Venice had. There were so many influences and we were constantly learning from everyone. But it was our recognition of our level of musicianship and a knowing that we could do something new in the blossoming world of “women’s music” that was the glue that kept us together. One day we figured that between us we had almost 70 years of playing experience. 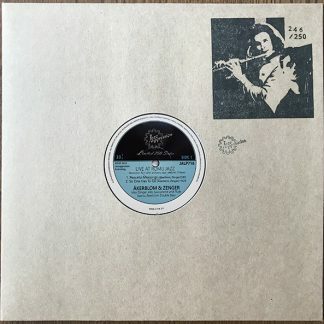 It also states on the back sleeve it’s the soundtrack to a movie called ‘Woman to Woman’ by Donna Deitch. We must admit we can’t find any info on this film online, did it ever happen? The documentary “Woman to Woman” was a student Masters thesis by Donna Deitch attending the University of California Los Angeles. The film was finished and premiered In Berkeley. It may have had a limited commercial release. How was the single received at the time and how was it distributed? The single was well received so much so that Olivia Records, the first woman’s record label in the US. released it as their first record. Tell us a little about the music vibe in LA back in seventies. And how is it now, compared to back then. 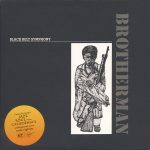 In the seventies the music was organic, reflective of the times, women were waking up to their potential, the Vietnam war was raging, the Black and Brown communities were fighting the oppression they had endured for so long and were waking up to their potential and all of this was coming out in the music. Someone once said to me recently the difference between now and then is that we had theme songs. There was an urgency, we didn’t have cell phones or answering machines or social media. We had each other and we had the knowing that we had to change the world and were willing to put our lives on the line for it. We were passionate, committed and also dedicated to having fun. Dancing was important, lyrics were important and the revolution was just around the corner. In many respects Hip Hop carries on this zeitgeist and of course now we are a global community and the internet has made it possible for more diversity and voices to be heard. We are also thrilled to hear that you played with Somayah (featured on the Brotherman single) she seemed like a special individual on many levels. How was it working with her and in what band was this? I knew Somayah as Peaches and we met when I worked on a film about the breakfast program the Black Panthers ran in Los Angeles. After she left the Panthers, Peaches started writing songs about her experience and vision. She asked me to come and open with her at the Ash Grove in Los Angeles, a well-known nite club where Linda Ronstadt and Bonnie Raitt got their start. The Ash Grove mainly featured the greatest blues players of our time, Leadbelly, B.B. King, John Mayall, Muddy Waters, Big Mama Thornton and Esther Phillips etc. The band consisted of Peaches, myself on Sax and Flute, a conga player and a pianist. We opened for Albert King and the first thing Peaches would say to that blues audience was…”I’m here to stamp out the blues.” Peaches had a strength and a sweetness to her songs, not to mention she played the autoharp which was an instrument “of the people”. Everyone in public school in California had to learn how to play it. Peaches would end her show with the song “Four Women” written by Nina Simone, who was also a great influence on us all. The song ends with the words “My name is Peaches” and Peaches would slide across the stage on her knees, autoharp in hand and stop just before the footlights. Unforgettable. It was an honor to play with her and if you know her story, she is one of the bravest women I have ever known. My father’s heroes were Miles Davis and John Coltrane, I was raised listening to them, then Stevie Wonder came along and I stopped being a jazz snob. Miles called Jazz social music and really that is what music is to me. From the human heart and social. 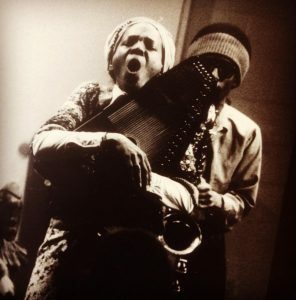 Alice Coltrane was the greatest influence, from her early days to her introducing world music. Playing together on stage she would have the New England Conservatory of Strings, Charlie Hayden on bass, Rashid Ali on drums, an east Indian sitar and tabla, a multitude of African instrumentalists and an African church choir singing Indian bajans. She was the first. I was fortunate to spend time with her and learn about music and life. We know that Bobi Jackson has passed, is this band still in touch with each other. Regrettably Sandi Ajida also passed in 1992. I have stayed in touch with Judy Grahn and Max Dashu and due to your re-release of the High Risk disc I have reconnected with Virginia. We are all happy that this work is being recognized again and I’m sure Sandi and Bobi would feel the gratitude we do. The High Risk full album is now now available for order from Jazzaggression Records. Get it here!